Home » Category "Mobile Home Roofing Services"
Thanks for visiting our mobile home services pages. Feel free to browse through our different service offerings. If you do not see the service you need, please call us at 800-297-3758. 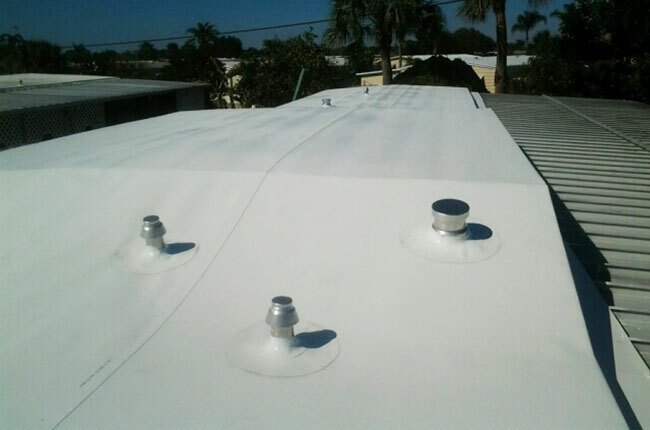 Since 1984 we’ve been helping Florida residents fix, repair and replace their mobile home roofs. Leaky roof got you feeling down? Well luckily for you, there are plenty of ways to go about fixing your problem right now. Save time and money by calling our professional representatives at All Weather Roofing! Getting the job done yourself doesn’t necessarily mean the job is going to get done right. 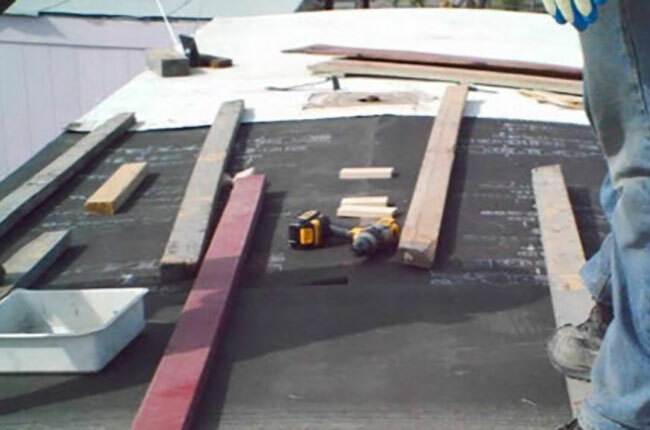 Do-it-yourself projects can be worthwhile endeavors, but attempting to fix and/or replace a mobile home roof is a time-consuming and sometimes expensive process. So—you’ve got enough leaks in the roof that if you saved up the dripping water, you could draw a bath. Or, you’ve noticed one leaky spot or signs of discoloration and want to attack the issue before it gets worse. 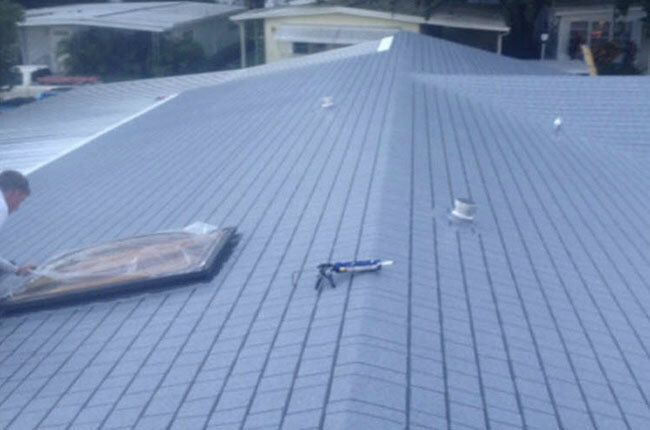 Whatever your reason for wanting a roof replacement, All Weather Roofing can get the job done. 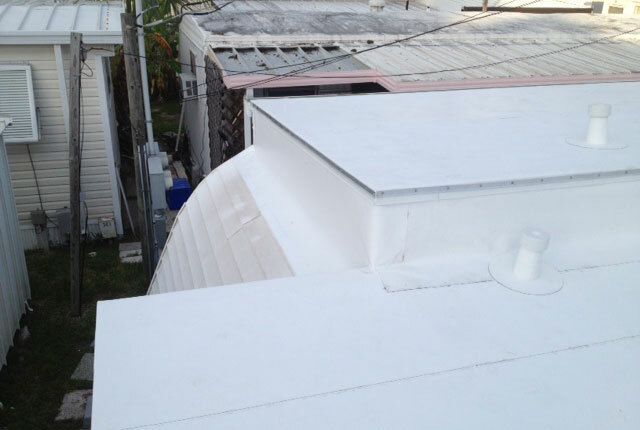 All Weather Roofing, Inc. has been installing our Single-Ply Membrane Roof Over System to Mobile & Manufactured homes since 1984. Over the years we’ve continually improved the quality of our products and installation process. TPO membranes are produced in thicknesses ranging from 45 to 90 mils and have become a popular choice in recent years as they can be more energy efficient due to the reflective nature and associated energy efficiency of white membranes. 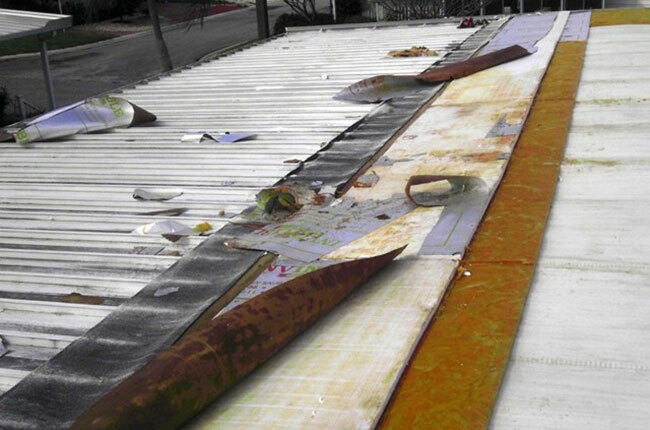 PVC membranes are also heat welded single ply membranes, and are typically produced as a white sheet similar to TPO’s.